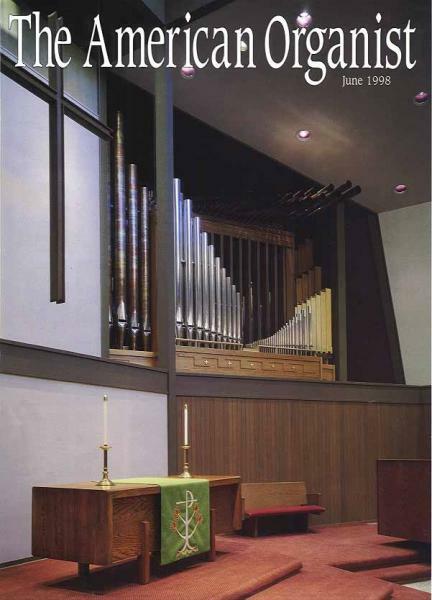 In 1992, when nearly all the members of the Bellevue United Methodist Church‘s Organ Committee took the time and suffered the expense to fly to Chicago to meet me, and then drive another 2 1/2 hours to Champaign to see our instruments and our workshop, I knew that these were very special people, and that we wanted to build a new pipe organ for them very much. As it turned out, the feeling was mutual, and we developed lasting friendships and an uncanny close-knit relationship which endures to this day. During the years in which the organ was in the workshop, I came to realize that there would be no small controversy installing an electric action instrument of our admittedly balanced eclectic style in the Pacific Northwest— the land of the neo-Baroque mechanical action organ. It is extremely gratifying to learn in recent years that our instrument has been recommended to area University students for practice and concertizing; the organ was featured as part of the NYACOP Competition during the Seattle AGO Convention, and heard at a recent American Institute of Organbuilders Convention. I had visited the Church prior to the Committee’s trip to Central Illinois. The space allowed for the organ in their 1960’s building was just large enough to accommodate an instrument of the size which would be needed to undergird their hearty congregational singing, accompany their admirable adult choir, and play a wide range of the solo literature. Neutralization of acoustic tiles in their clerestory proved extremely helpful to the efficacious projection of sound into the room, both of the organ and the choir. The budget available at the time allowed for a complete two manual specification, but the desire was for three manuals. To help meet this desire, we designed the Choir Organ to be a series of extended ranks from the Great, enclosed in an independent expression box. Naming this division a “Composite Choir,” we prepared space in the expression box for future addition of a Choir windchest and four independent stops. These would flesh out the Choir to become its own independent division, with its own colors and chorus, yet also benefit from the existing inclusion of the enclosed Great stops’ colors. The organ was completed in 1997, and dedicated by Thomas Murray, to rave reviews. The additions were completed in 2003.